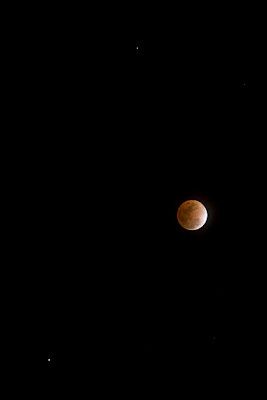 The stars came out tonight during the lunar eclipse. A spooky reddish hue was cast upon the full moon during the totality which lasted for almost an hour. Officials stated that this will be the last lunar eclipse we will "see" till 2010. This photo was shot from Pasadena near the Art Center College.